At the end of each day, Talkin' Cloud pulls out five must-read cloud computing stories from the news cycle for its readers to review in the morning. Today's column features Nerds On Site, CompTIA and HP. Talkin’ Cloud at the end of each day pulls out five must-read cloud computing stories from the news cycle for its readers to review in the morning. Today’s column features Nerds On Site, CompTIA and HP (HPQ). Some of these stories have been gathered from Talkin’ Cloud’s article database, while others have been collected from elsewhere. If we missed something, feel free to leave a comment below. We might just add it into the mix. 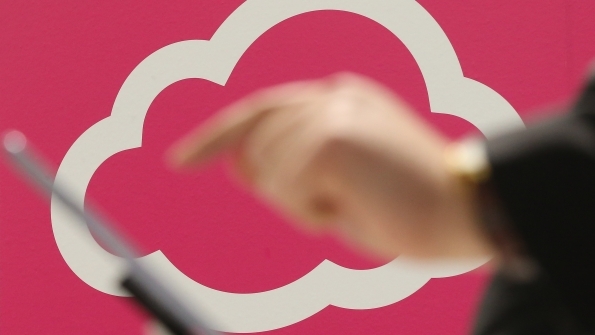 Here’s today’s list of must-read cloud computing stories. TC 100 Survey: Top IaaS Platforms And Service Providers. The 2014 Talkin’ Cloud 100 survey revealed that 78 percent of respondents said they used infrastructure-as-a-service (IaaS) platforms or service providers. But which IaaS platforms and service providers were the most popular among these respondents? Here’s a closer look at what we found. Nerds On Site To Sell My Digital Shield’s Cybersecurity Solution. Global IT solutions provider Nerds On Site (NOS) will now promote and sell My Digital Shield’s (MDS’s) cybersecurity offering. MDS today announced a partnership with NOS that could help the Wilmington, Delaware-based security-as-a-service (SECaaS) provider deliver its cybersecurity solution to thousands of small and medium-sized businesses (SMBs). SMBs Value Innovation In Outsourced IT Support, Study Shows. Deciding to partner with an outside IT firm can be a big decision for many small and misized businesses. Many of these businesses don’t have the time or money to waste on ineffective business relationships. This is where channel partners can jump in and provide assistance, but one question still remains: What do these local mom-and-pop shops value in outsourced IT support? HP Introduces New Portfolio For Service Providers. HP on Tuesday unveiled a technology and services portfolio to enable service providers “to create differentiated services, increase speed and agility and drive business growth.” The new portfolio features open standards-based products and ready-made solutions and services that are specifically designed for service providers, according to HP. Juniper Tightens Grip on Data Center Space. If there was any question what direction Juniper Networks (JNPR) is moving with its networking expertise, the company’s latest product announcement has data center written all over it. In the switching space, Juniper unveiled the QFX10000 line of spine switches, designed to support massive throughput data centers need. Follow CJ Arlotta on Twitter @cjarlotta and Google+ for further updates on the story above — or if you just want to say hello.